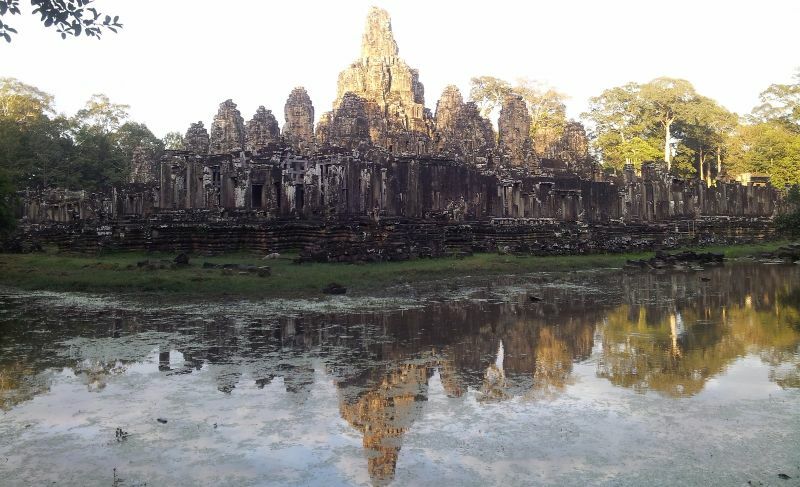 Despite its name, the rainy season, between May and end October, is a very good time to come: fewer visitors, lower hotel rates, lush vegetation and a subdued atmosphere in the temples and the city. Rain usually falls in the early afternoon and lasts for one or two hours only, leaving many hours of sunshine throughout the day. 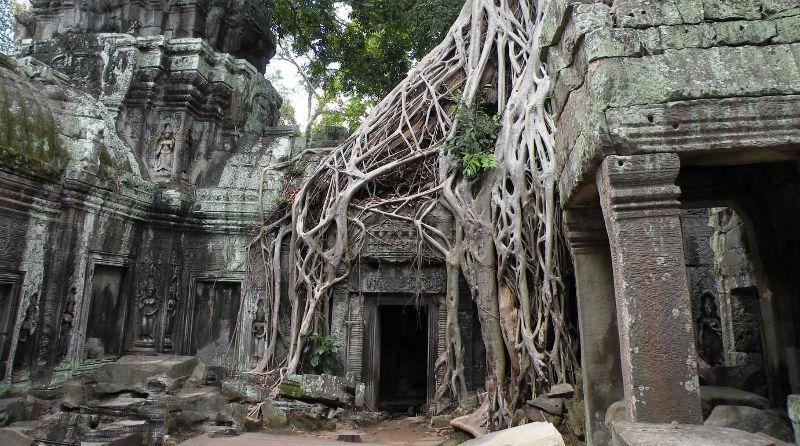 The temples of Angkor have regained their serenity and are particularly photogenic with the wet stones covered with deep-green moss in the moisture-rich air. With fewer visitors around, they offer unforgettable moments for pause and contemplation, as well as beautiful photographic and painting possibilities for amateurs and professionals alike. 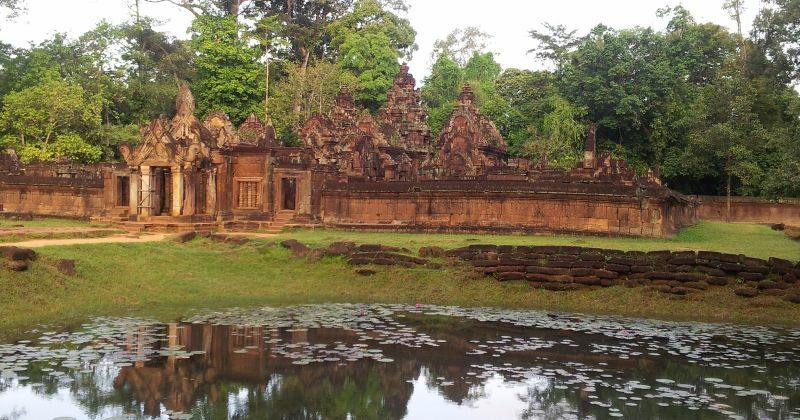 This is the time of the year when one can truly understand and share the feelings expressed by early visitors to the temples of Angkor, such as Henri Mouhot, Andre Malraux and Pierre Loti. This is the time of the year when it is possible to pause and reflect, and get the inspiration to write, take pictures or draw sketches, such as this young monk at Ta Prohm on a quiet morning. Visitors during the off season may be lucky enough to attend unique evening performances at various temples, generally a charity concert or a national holiday celebration.